SIDEXIS 4 is a software application that provides a comprehensive X-ray tool for dental diagnosis and was optimised in terms of development technology, workflow composition, user interface and usability. Its practical user interface is easy and intuitive to use and precisely adjusted to workflows in dental practices. For example, it supports diagnoses by means of a highly illustrative patient history, which can be viewed entirely at a glance and by a digital light box, allowing various X-ray images in 2D and 3D to be directly compared with each other. The integrated digital workflow speeds up work routines and ensures a maximum of X-ray efficiency. It is also for consulting patients and planning their therapies in a better way. The software is characterised by a subtle, modern and functional design language, facilitating the control of the medical equipment. 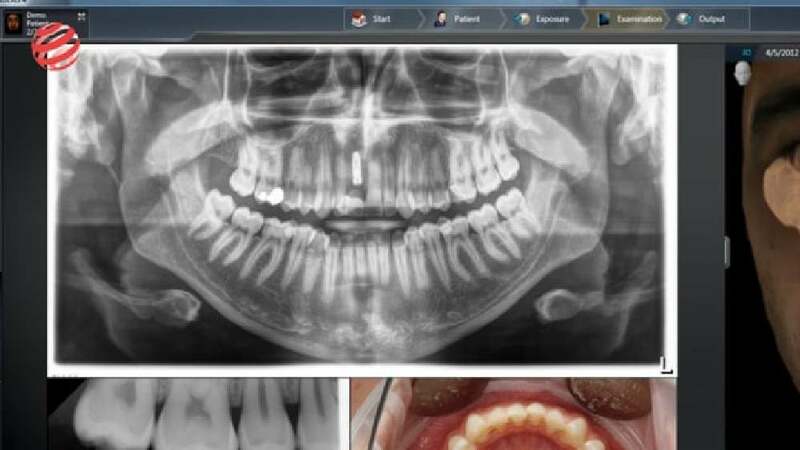 This software for X-ray diagnostics fascinates with its high utility – for dentists as well as for patients. It features a sophisticated and clearly structured design that provides users with easy-to-understand navigation through menus, allowing them to interact with various data. A highly inventive feature is the visualisation of patient information in 2D and 3D, which allows for different viewing angles and the quick identification of problem areas.